I love a beautiful exposed wall. 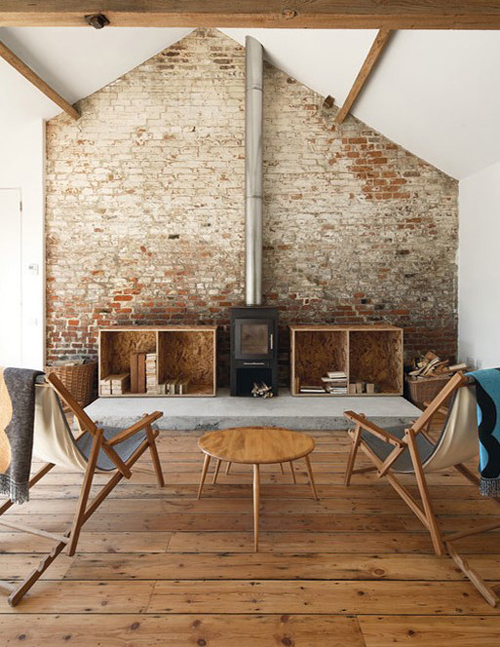 These brick walls give an industrial character to a space. Here some example of an exposed wall in a kitchen, living room and even a bathroom. Pingback: Friday favourites – cinnamon and cream | Husligheter – inredning och design som blogg. 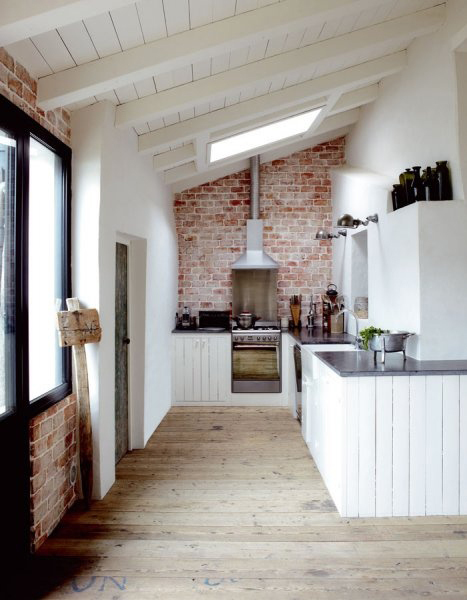 I really like the rooms with the exposed brick and clean white walls. I think the bit of new/modern is a great contrast for the brick. I keep this in mind while house hunting online, a nice house with a kitchen from the 1800s 🙂 I imagine keeping part of the old and putting in some nice new modern pieces .. I love this look – especially the top image where there is a painted area as well. One of my favorite posts! 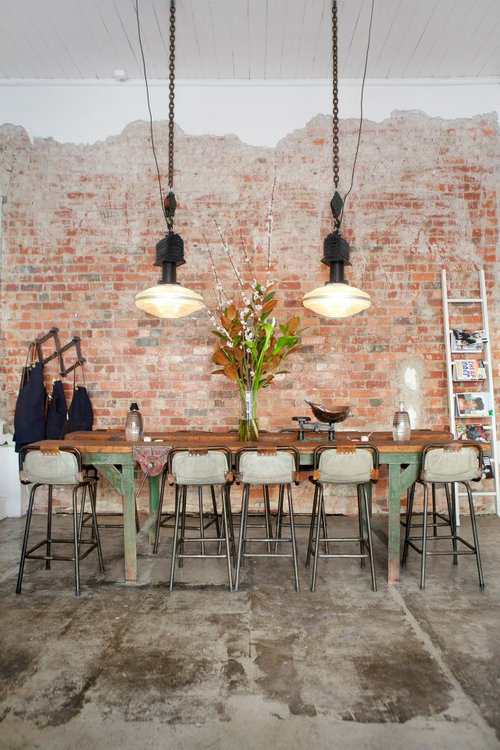 I’m a huge fan of brick walls, industrial and loft! I have always loved this look, just haven’t had the chance to design it yet! Beautiful images! 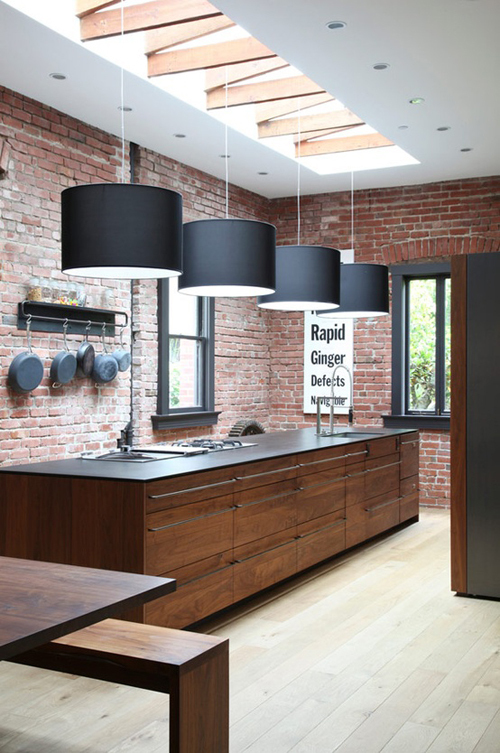 These exposed walls are fantastic I love the 1st pic of the kitchen dining table those lights are amazing! 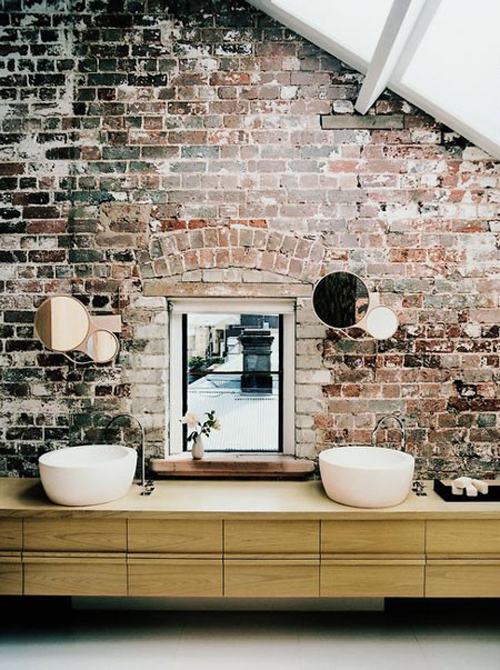 Also adore the exposed wall in the bathroom with the mirror set in such a great effect. I love the brick walls too. I am happy to hear that you share with me the love for brick walls! Have a great week! I’m from the north of France, near Belgium, and brick walls remind me this place. I would love to have one in my house. Belle maison avec des murs de briques,décoration sympathique!